It might seem like updating your bathroom will take a lot of time and money, but that doesn’t have to be the case. Contrary to what you might think, with a few well-chosen accessories, you can easily give your bathroom a new look and feel. You don’t need a paint brush to transform your bathroom, just a few chic accessories. To update it without too much time, money or effort, take note of these tips. 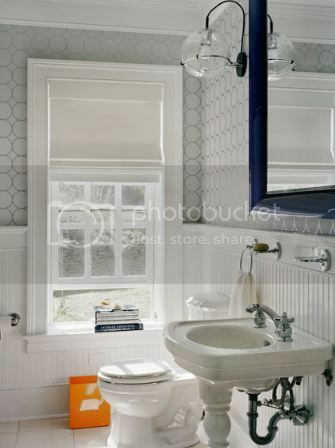 You’ll find that with a few simple accessories, you can create a bathroom that you love spending time in. For everything that you need to know, keep reading. The mirror that you have in your bathroom can make a big impact on the look and feel of the space. Your bathroom mirror should not only be the right size and shape but also fitting when it comes to the style. If your old mirror is lacking a little something, it’s time for an update. You can buy a new mirror – there are so many beautiful designs to choose from, or you can do up your old one. It might seem like a weird idea, but if it’s the right size and shape, but needs a little jazzing up, you can easily transform it. When we’re updating our bathrooms, we often forget about the essentials. Things like the toilet seat, brush, bath mats, towels, and toilet roll holders, often get left as they are. However, if you want to give your bathroom a chic update, swapping these things for newer pieces is a must. For example, if you go online, you can pick up some beautiful bathroom towels. Many companies now sell towels in a range of patterned designs that are perfect for adding a little extra style. You can pick up a stylish Alessi toilet brush online, as well as a range of stunning toilet seats. Don’t make the mistake of failing to update the essentials. It might be a small a thing, but upgrading the hardware on your bathroom furniture and bath and sink, can make a big difference to the space. There are so many hardware options to choose from that no matter what style you love, you should be able to find the perfect thing. For beautiful bathroom hardware, make sure to check out Etsy. So there you have it, a guide to using accessories to give your bathroom a chic update.